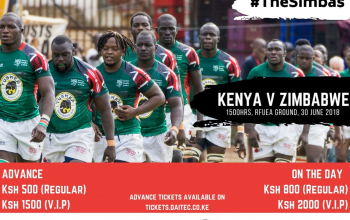 Fresh from a historic 28-24 win over Morocco in Casablanca in their opening Africa Gold Cup clash, Kenya Simbas now shift focus to their next assignment against Zimbabwe on Saturday 30 June at RFUEA grounds from 3pm. The tie was originally set for a 4pm kickoff but that has since changed as necessitated by host broadcaster Kwese’s television scheduling. 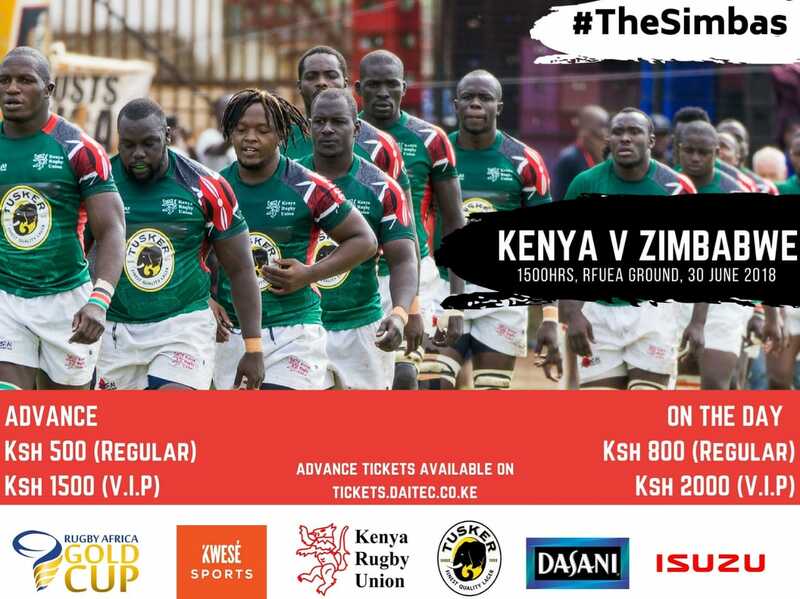 The Simbas jetted back in the country in the wee of Monday and have now set their minds on the Zimbabwe's Sable who arrive on Wednesday the first showdown since 2011. 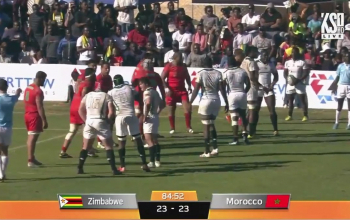 The Sables started their chase for the Gold Cup with a rather disappointing 23-23 draw with Morocco in Harare and have been on rest preparing for Kenya. During their last visit, Sables hit Kenya 26-21 at Nyayo Stadium on 23 July of 2011. 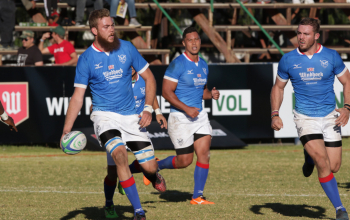 The Sables scored their points through Gardner Nechironga (2 tries), Lloyd Machanjare (1) and Tich Makwanya (1 conversion & 3 penalties) with the Simbas points coming from Lawrence Buyachi (1 try), Vincent Ongera ( 1 try) and Peter Claver Abuoga (1 conversion & 3 penalties). But they come to Kenya reeling from two straight defeats to the Simbas in the last two years in Harare. In July of 2016 Kenya flattened Zimbabwe 61-15 in Harare and followed it up with a 41-22 win a year later in the same city.